Two new payment gateways are now available as add-ons for Event Espresso 4! Both will let you accept credit or debit card payments on your website. Braintree is available to event admins / event organizers in many areas of the world including North America, Europe, Asia, and Australia. It is an onsite payment gateway which means that your registrants/attendees will remain on your website during the payment process. An SSL certificate is recommended with Braintree. Your website host will be able to provide you one for a fee and this will help ensure that sensitive payment information is kept secure. Braintree has a promotion available for merchants (event organizers) in the European Union and the United States. They will pay your transaction fees for credit and debit card payments for the first $50K of payments. Looking for the documentation for Braintree? You can find the documentation for Braintree here. PayPal Payflow Pro is available to event admins / event organizers in Canada, Australia, United States, and New Zealand. It is an onsite payment gateway which means that your registrants/attendees will remain on your website during the payment process. An SSL certificate is recommended with PayPal Payflow Pro. Your website host will be able to provide you one for a fee and this will help ensure that sensitive payment information is kept secure. Looking for the documentation for PayPal Payflow Pro? You can find the documentation for PayPal Payflow Pro here. Need some help with Event Espresso? If you have an Everything support license for Event Espresso 4, then your account has been automatically updated and you’ll be able to find these new payment options in your account page. Are you considering upgrading from a personal support license or another support license? Contact us so we can help you make the switch to your new support license. Both Braintree and PayPal Payflow Pro require an up to date version of Event Espresso 4. If you have not updated in some time, then now is a good time to backup your WordPress site and update. 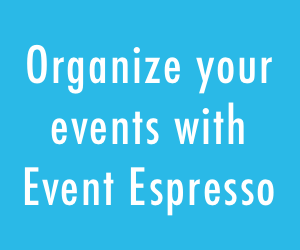 Additionally, Event Espresso is compatible with the newest version of WordPress at 4.4. Please check out our update guide for Event Espresso 4. If you have a question or are not sure about updating, then please get in touch via our support forums so we can help you!